Our family of mesh duffels features a heavy duty, snag resistant mesh, 420 denier nylon packcloth reinforced bottom and sides, #10 Y.K.K zipper and a zippered accessory pocket. 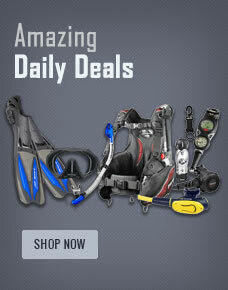 Buy Stahlsac Mesh Duffel Yellow 22inch from Divers Supply at the best price. Stahlsac Mesh Duffel Yellow 22inch comes with full Manufacturers warranty because Divers Supply is an authorized dealer for everything we sell.